So? Whadayasay? Let's get to it! That it was death to know. Good ol' Hallowe'en! So many people from all walks of life and a multitude of religious persuasions claim the origin of this overtly Americanized and as it follows, astoundingly lucrative commercial holiday is buried in the mystery-laden mythology of ancient druid, heathen, humanist, polytheistic, even satanic traditions. In other words; Hallowe'en and all that it entails, is the universal, cloven-hoof'd scapegoat of those who claim the woes of today's society can be found in the roots of an ancient evil. Now, I must admit, while most of the claims or theories put forth about the origins of the allegedly inherent evils of Hallowe'en and the iconic images associated with it are extremely entertaining (I do love a loony conspiracy theory) in truth, there is little hard evidence to support them. In fact, very little of the mythology attributed to the ancient origins of Hallowe'en can be substantiated in f-a-c-t whether your feelings are pro or con - Hallowe'en. Speculation abounds though – does it not? One has only to type the word Hallowe'en into any search engine on the internet to come across hundreds and hundreds of links to page upon page (yes, including the Wyching Well which has moved to this blog) which indiscriminately expound upon and exhaustingly exploit the subject. ...pages that claim Hallowe'en, is observed only by Satanists, Witches and Vampire cults. I suppose to the unenlightened - Hallowe'en would seem the most appropriate holiday for those dark spirited ones of a decidedly Pagan or Gothic nature. I've never had the opportunity to ask a Goth what activities they pursue on Hallowe'en and if it bears any significance for them... hmmm... perhaps another time... As for Satanists - who knows? 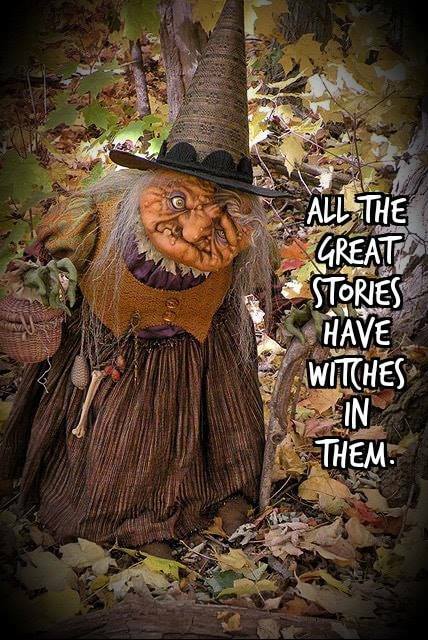 And those pesky Pagans and Witches... well; there might be something to that part. Grin! ...pages that attempt to analyze the historical or sociological impact of Hallowe'en upon the masses throughout history (well, grad students & professors have to publish about something right?) It might as well be fun stuff. ...pages of a fundamentalist view that call Hallowe'en sacrilegious and shudder at the very thought of a Day of the Dead, El Dia de los Muertos. I ask you... Did I miss something, or isn't that [memorializing the Dead] what any Memorial Day is about? ...and pages (mostly Pagan) that proclaim Hallowe'en as The Witches New Year, a day to mark the change in the seasons, honor and commune with the dearly departed, the time of the much debated ancient fire festival known as Samhain (end of Summer) and a day deemed sacred among Druids and Pagans, Witches and Wiccans (OK - You got me - If I had to choose, I would pick this one). 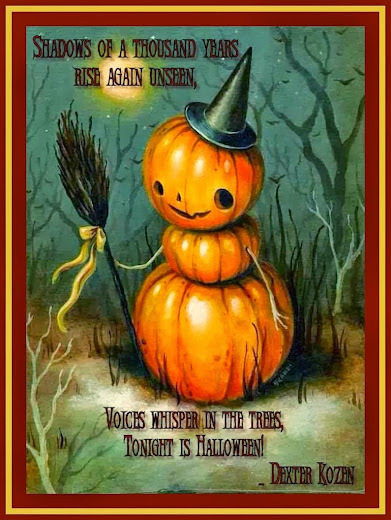 Note: Samhain is pronounced (sow-in - Irish) or (sow-een - Welsh) or (sav-en - Scottish) or (sam-hane - American) - especially if you happen to be a southern Pagan from the USA - Howdy Ya'll! Scores of books and pamphlets have been published on the topic written from every perspective under the sun both pro and con, fact and fiction. I own a good many of them. And, I suppose I would be amiss if I did not at least mention those from-the-foggy-graveyard made-for-TV and mass market appeal specials that air this time every year and seem to perpetuate one unfounded myth after another. Even the History Channel can be caught perpetuating certain myths... They are fun to watch though, are they not? 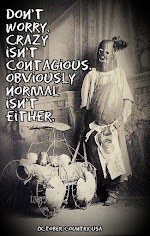 I am always amazed and secretly pleased at our somewhat morbid fascination with the subject and confess I am guilty-guilty-guilty of being a colossal Hallowe'en nut. Certifiable, I am told - always have been - more so in the last few years. 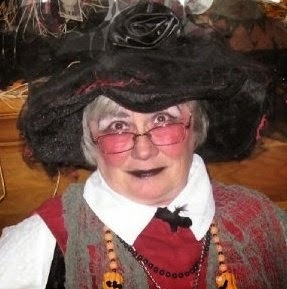 Few, if any self-proclaimed authorities or scholars, (I do not care how many times they pop up with their name and credentials in subtitles on The History Channel), no matter what their angle on the idea of Hallowe'en, actually bother to support their statements with any substantial documentation or; for that matter, valid physical proof that Hallowe'en as we know it and associated elements in any form; other than the most farfetched, can be linked to ancient times, ancient cultures or, more specifically, ancient religions. Now, I agree with the experts that some elements of Hallowe'en celebrations in the USA can be likened to Celtic and Irish celebrations so you history buffs out there don't get your bloomers in a wad just yet - but, the basic anti-Hallowe'en faction claims that this holiday is descended from ancient and evil sacrilegious (meaning anti-Christian) ceremonies of some mysterious long ago cult. Fundamentalists and other religious alarmist sorts, of course, can be counted on to proselytize the virtue of their own beliefs by spouting the gospel (from cover-to-cover if need be) which allegedly reveals the dreadful true purpose of Hallowe'en that mysteriously lurks in disguise beneath the innocent layers of childhood, costumes, mischievous mayhem and candy. 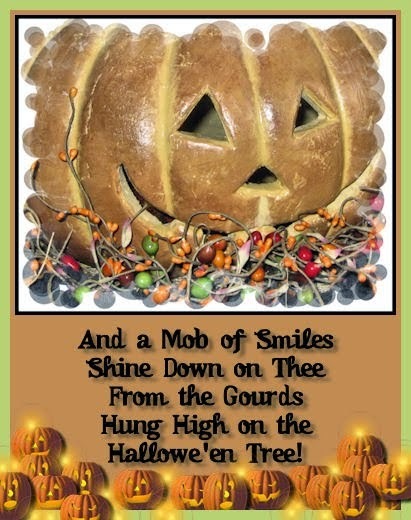 According to those of a fundamentalist persuasion, their ancient scripture seemingly opposes all things Hallowe'en as if it were indeed - a rival religion... Thereby vindicating (albeit unwittingly) the opposition's claims, by its very correlation to their own religion's age and origins that it - Hallowe'en - is indeed – ancient - more importantly, an ancient religion. They (the fundies) tell us rather loudly at times that because Witches and Demons and Magic -- OH MY! -- are mentioned (if somewhat vaguely) in their religious texts - that it is their faith and that alone with possibly the exception of your hard-earned $$$ monetary contributions that prevents evil incarnate from running rampant in the world. YEAH, right. I ask you - does it seem to be working? 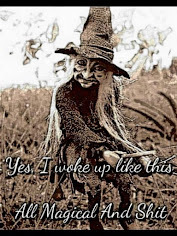 Besides, I am always distracted by the time-line on this one... Raising its ugly little head for contemplation is the age-old quandary... which came first, the chicken or the egg... day or night... Pagans or Christians... Samhain or All Saints Day... and why do we care? I have always wondered how an ancient religion or culture can be perceived as anti-Christian if it actually predates Christianity. Is it not just like a bunch of neurotic Johnny-come-lately types to present this wonderfully perplexing question for endless debate! How many times has this line been pulled out of the hat full to overflowing with misogynist, patriarchal BS? Please get a new line! This dire warning has lost its edge. I'm going to get you, my pretty, and your little dog, too! Coming from a Christian background and being of a mostly Pagan’ween persuasion these days (a conscious adult choice, mind you) I find after all these years, that I really do not mind the never-ending debate. For people like me, the debate is what keeps me on my toes... makes me reevaluate my perspective from time to time... or at least every Hallowe'en. But Hallowe'en is hardly any of those things. 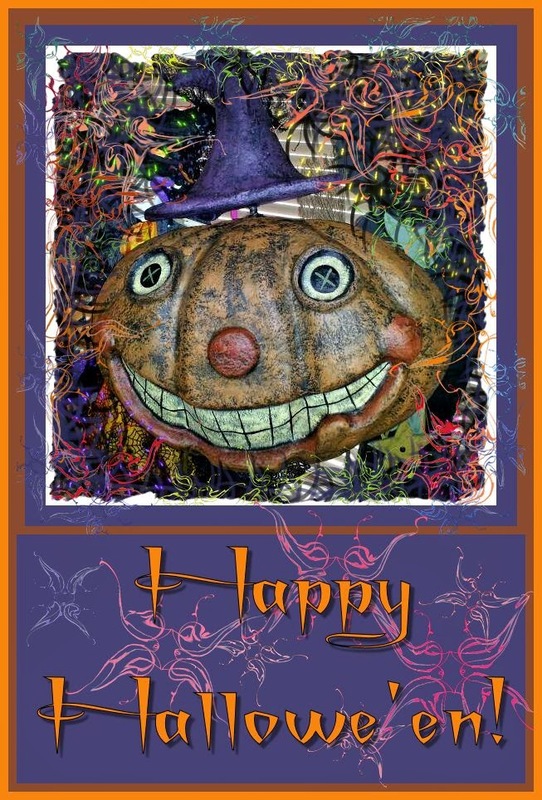 Nor, for that matter is any other greeting card holiday in the USA because to the vast majority that’s what Hallowe’en has become. What Hallowe'en is, can be conversely compared to the same phenomena that explains what we call the kabillion $$ dollar industry masquerading as religion these days in America. It is simply a product of our vast and very diverse, multi-cultural, melting pot population whose roots spring from a rich and varied compilation of European belief systems, folklore, backwoods BS and homespun, hand-me-down heritage. Sprinkle in a fair amount of creative license, a good marketing strategy, a decent profit margin and what do you have? 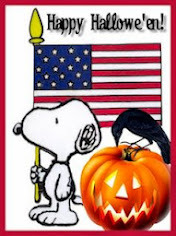 Yep, we have the freedom to celebrate our holidays, religious or not, HALLOWE'EN included, my friends, any damn way we please in the good ol' US of A. Not only that, we are ready, willing, and able to $$ PAY $$ big time for the privilege. ... my research concludes it is not possible to offer proof positive one way or the other of an exact and relevant origin of Hallowe'en that indicates significance within any single ancient religious or, for that matter, ancient cultural framework. The whole p-o-i-n-t of this lunatic discourse... in my humble opinion, if you eliminate the fundamentalist religious backlash (which suits me fine) then the overall good versus evil dispute is deflated. It sort of farts and flies out the stained glass window, so to speak. 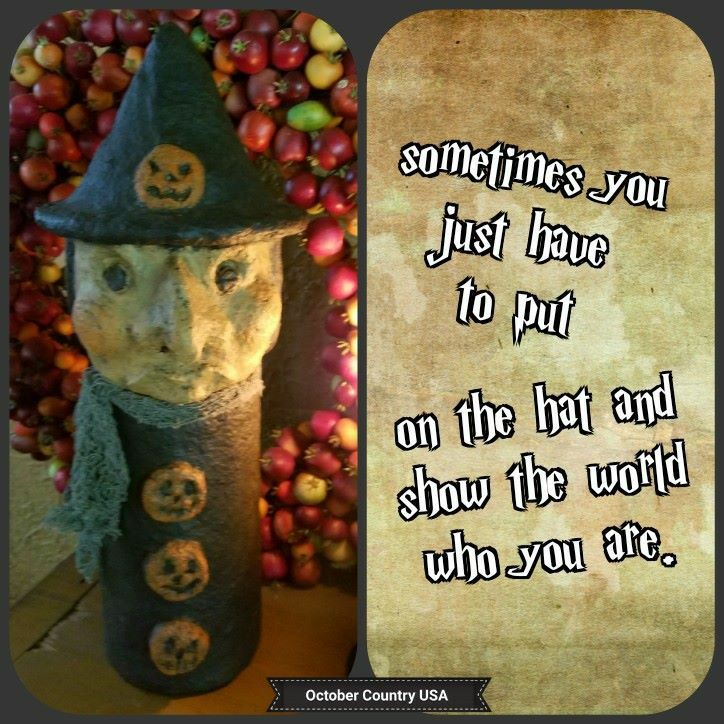 Hallowe’en like much in our American heritage and like so many of our so-called American holiday ideologies is but one of the chameleon threads that weave the fabric of our culture in bright and wondrous variety. It is like Santa Claus, the Christmas tree, Saint Patrick, and the Easter Bunny - all seemingly American ideas borrowed from somewhere else, properly restructured and reinvented for mass market appeal. In America – it’s all about capitalism you know. I call it the watered-down, warm-fuzzy, yes, Virginia... let-us-make-a-million approach. The Hallowe'en ideology survives by constantly changing and redefining itself in terms we either enjoy and accept or abhor and reject depending on our individual willingness to allow new concepts of old ideas into our lives. Either way - It Lives! You see? As long as there is a strong opposition to just about any idea... it will survive because there will always be someone out there to support it... if for no other reason than to prevent the opposition from dictating or censoring the same idea that under other circumstances would be more or less meaningless. There will always be certain conceptions, ideas, and beliefs embraced by some and opposed by others. It is always either us or them. Americans indiscriminately label and categorize everything, are obsessed with what THEY are thinking and half the time cannot define the mysterious THEM in recognizable terms. FYI: My concept of THEM is a Southern Baptist preacher and armed with that image, I have learned not to give a damn what THEY think except when it provides fodder for writing rants such as this one. By the way: Have you contemplated your personal concept of THEM? ... and of course, how much $$ moolah $$ is to be made from it. Hmmm... I wonder if an investor representing a religious organization, by some quirk of fate bought into the stock for a company that manufactures plastic jack-o'-lanterns - would they - having seen the bottom line - be so quick to brand them evil and eliminate them from distribution? 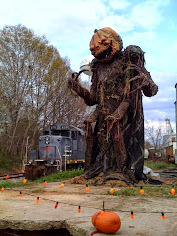 Hallowe'en IS after all, a multi-billion dollar a year industry second only to Christmas (let us not go there!) and maybe the Super Bowl... not to overlook the big non-tax-paying business of Religion itself. BECAUSE there is PROFIT to be made from it, silly! And, in the good ol' US of A what the people want, the people get, whether they need it or not. For what it is worth, it really does not matter if some self-righteous-stick-in-the-mud Party Pooper tries to piss on the Hallowe'en Parade. 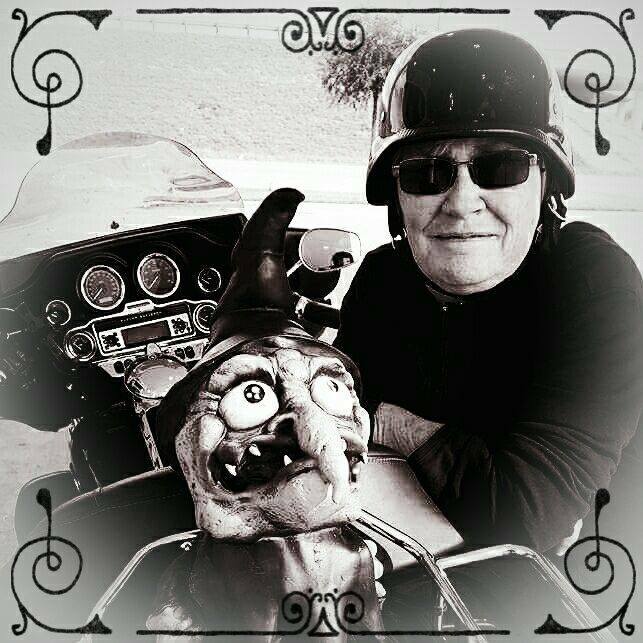 Hallowe'en is here and it is here to stay!